> 12 MONTHS MOT > FULL SERVICE HISTORY (12 Services) > CLEAR HPI + MILEAGE CHECK. 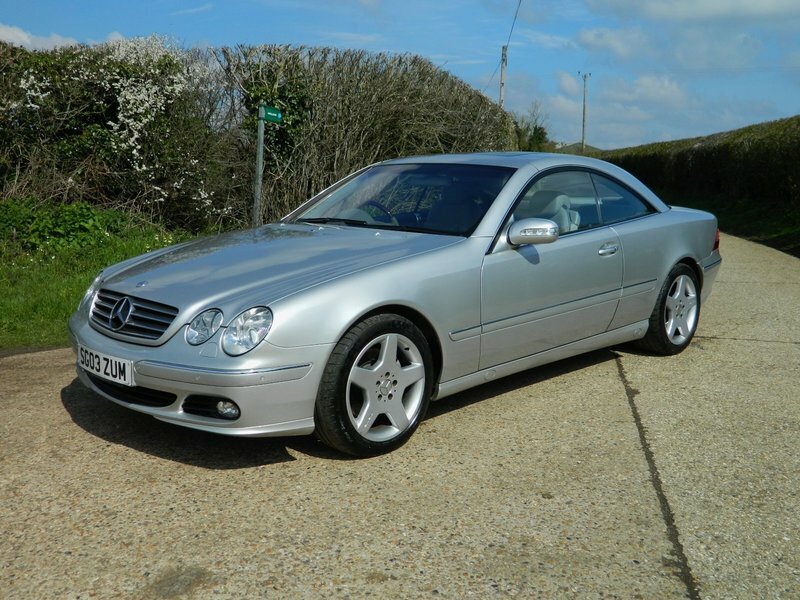 This is a very well looked after CL500 and comes with great bodywork and a super clean Interior. Has the desirable 18" 5 Spoke AMG Alloys and also comes with a Full Grey Leather Interior, Electric Heated/Cooling Memory Seats, Climate Control Air Con, Xenon Headlights, Electric Sunroof, Cruise Control, COMAND Sat Nav with Discs, Stereo with CD Changer, Electric Windows and Electric Folding Mirrors, Remote Central Locking, Front and Rear Parking Sensors, Adaptive Suspension, Brake Assist, Multi Airbags, ABS, Traction Control, Alarm +Immobiliser. This car also comes with all Handbooks and 2 Sets of Keys. These are fabulous cars to own and drive and are a good investment for the future as their values are starting to climb. We have also just had this car Serviced by Star Motors of Caversham who are very highly regarded Mercedes Specialists. PLEASE CALL TO ARRANGE AN APPOINTMENT TO VIEW or for further information. Part Exchanges welcomed. Car will come with Warranty and FREE 12 Month AA Breakdown Cover.